100% Delicious. Raw. Cold Pressed. 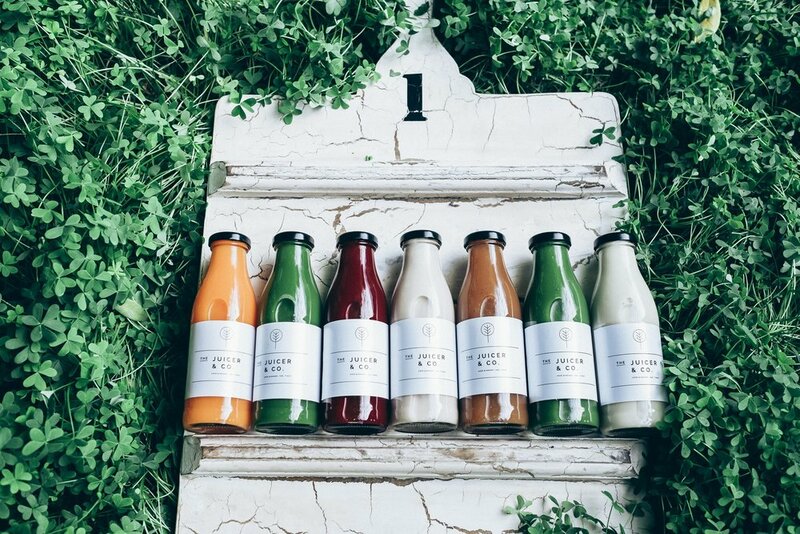 The Juicer & Co Juices, Elixirs and Nut Mylks are cold pressed fresh every day. Our juices are nutritionally designed to provide you with optimal daily nutrients. The Juicer & Co juices are free from preservatives, concentrates, wheat, yeast and dairy products. We do not pasteurise our juices with heat or HPP methods. We use a commercial grade cold press juicer to squeeze out every little bit of wonderful plant goodness and then bottle it in our gorgeous recyclable glass bottles. Cleansing is an opportunity to enhance your health, recalibrate your body and build a stronger immune and digestive system. © 2016 The Juicer & Co. All Rights Reserved. This is a Yourspace Web Design. Photography by Johanna Resta Photography.